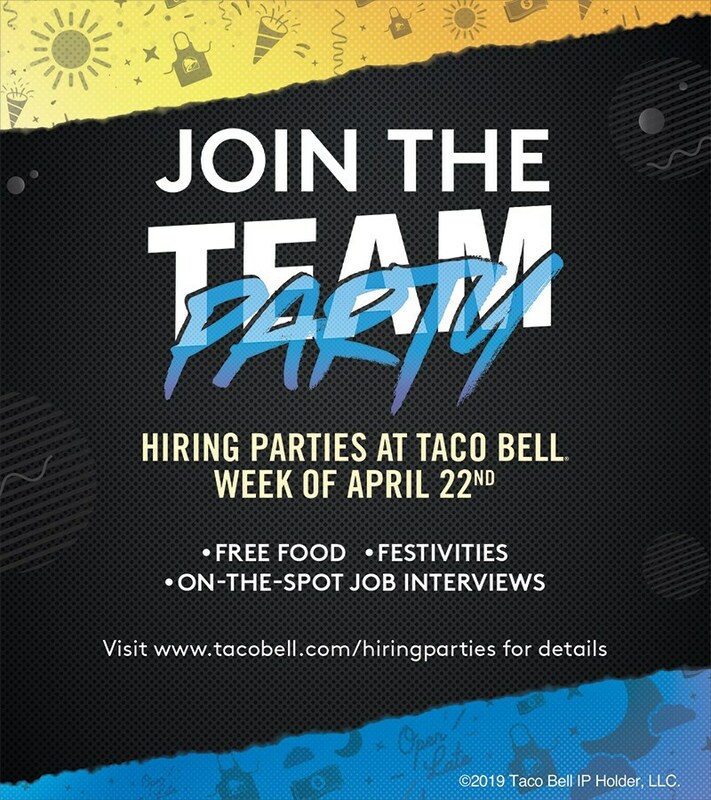 To find the location and time of any Hiring Party across the country, visit www.tacobell.com/hiringparties. IRVINE, Calif. — Taco Bell restaurants are gearing up for warmer weather, longer days and vacation season by filling thousands of job openings before summer kicks off. 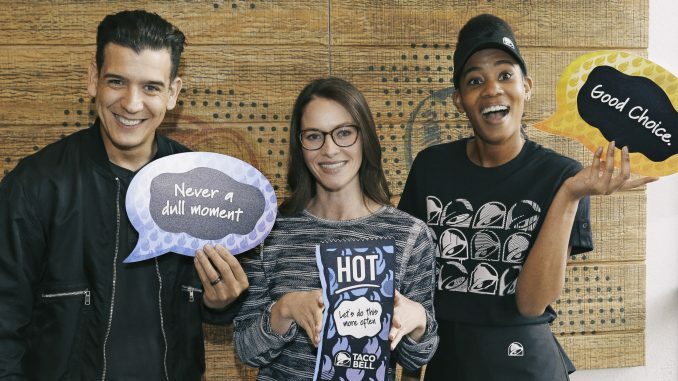 To help match interested candidates with the right job opportunity and make the hiring process as easy and fun as possible, participating Taco Bell company-owned and franchise locations across the country are hosting nearly 600 Hiring Parties from April 22-27. Applicants of all ages are invited to attend this unique spin on a job fair with free food, festivities and on-the-spot job interviews. All candidates need to bring to a Hiring Party is a ready-to-learn attitude. Applications, the chance to talk with managers and current employees, and all the makings of a party: free food, trivia and photo props to document the experience will be waiting for you. To find the location and time of any Hiring Party across the country, visit www.tacobell.com/hiringparties. If there isn’t a Hiring Party close by, it doesn’t mean other locations aren’t hiring. All interested candidates who are unable to join a Hiring Party are encouraged to apply online. This year’s Hiring Parties follow a successful pilot in Indianapolis last year, and are part of Taco Bell’s broader commitment to create 100,000 new U.S. jobs by 2022 throughout the Taco Bell system, which is comprised of company-owned, franchised and licensed Taco Bell restaurants. Participating Taco Bell company-owned and franchise locations across the country are hosting nearly 600 Hiring Parties from April 22-27. * Taco Bell Corp. is an Equal Opportunity Employer. Applicants for all job openings are welcome and will be considered without regard to race, gender, age, national origin, color, religion, disability, military status, or any other basis protected by applicable federal, state or local law. 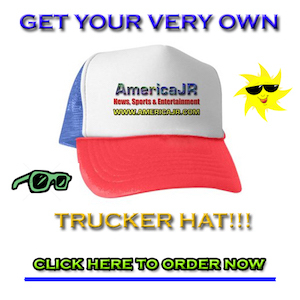 Any offer of employment is contingent upon a satisfactory background check and proof of employment eligibility. * Those applying for work with a franchisee of Taco Bell are not applying for a position with Taco Bell Corp. or any of its affiliates. If hired, the franchisee will be your only employer. Franchisees are independent business owners who set their own wage and benefit programs that can vary among franchisees.